Once upon a time it was believed you had to escape to some remote community, mountain top or sacred cave to find spiritual insight and inner peace. These days it’s more likely to come on a luxury cruise liner with a few hundred other people all dancing and laughing together. Relaxation and releasing struggle is a sure way to alignment. Why not do it in luxury? The idea of ‘vibrational resonance’ is the key to this change of heart. It’s the idea that when like-minded people gather together in joy and common intent, wondrous things can happen – inner peace included. This is spiritual cruising at its best, sort of like an ocean pilgrimage. I succumbed recently and found inner peace, insight and exciting interactions with some 600 other Abraham-sters on a week-long Vortex of Attraction Cruise to Alaska 2015. We cruised on the 15-level Celebrity Solstice from Seattle, with 12 hours of workshops with Esther Hicks channeling Abraham, of The Law of Attraction fame. Our physical needs were taken care of in the lap of luxury, freeing our minds and hearts to explore the depths of our spirit and universal questioning. Not everyone aboard was signed up for the Abraham-Hicks seminars, but there were enough of us to be noticed and bring an atmosphere of open-heartedness to the ship. For some it was their 8th voyage with Esther. There are plenty of Abraham videos on YouTube to view, but it is not the same as being in the theatre with Esther Hicks on stage and heart-felt questions coming from the Hot Seat. There seems to be a greater comprehension as your mind and body are uplifted to resonate with the answers. I found any question I had was answered, and many questions I had posed years previously were also resolved over the course of sessions. The inner peace came from the recognition that so many others were in the same boat as myself, metaphorically and literally. Many of us felt at crossroads in life, wanting something better, feeling confusion as to the best path to take. The answer was to let go of our addiction to struggle and resistance to doing what was good for us and just going with our inspiration. The answers we received were universal. Wayward beliefs were clarified. Intellectual ideas became felt as a ‘knowing’ in the cells of your being. Among the gems of understanding were to stop waiting for others to understand you, because you become frustrated when they don’t – sending you out of your alignment. Sometimes we feel the need to justify a happy heart to those who don’t have one. But Abraham says stop trying to change other people. Happiness is contagious, and often easier with strangers because of our non-attachment to the outcome (eg. wanting loved ones to be happy when they don’t want to be happy). If people ant what you offer they will gravitate to your happiness. You don’t have to prove it to anyone. Your freedom only comes when you can keep your nose out of other people’s business. One of the key understandings that became more ‘cemented’ for me was that you don’t need to know where you are going – just line up with your Inner Source and it will give you the inspiration towards the next logical step. When you are in alignment, you become a co-operative part of the unfolding. Our human role is to listen and channel the energy of Source into the manifest/physical reality. And take comfort in the thought that it really is your (inner) Self in non-physical that is prompting you to that expansion. You can trust it. Align with this inner self and it will take you where you need to be. The journey isn’t always a straight one – as Esther found out herself as she was led the long way around the dining room to her table by her waiter – but at least it allowed everyone to see her on the first night. What I found most powerful was Abraham’s comment that all non-physical energies are focused here and now on us in this point in time. It sounded so important. This is the timing of our physical bodies becoming aligned to carry the fullness of our non-physical selves – to be infused with Source and the fullness of our Inner Self – to be as much as we can be. Abraham said all the components we need are here – shifting and moving so we can line up with them as we listen and follow our heart’s promptings. The joy is in the dance of lining up with each note in our life (and we had a great night of uninhibited dancing on board). And following as each note and tone flows to the next (as each thought/emotion moves to direct us to the next better feeling thought). And so unfolds the symphony of life/creation. It really did make you feel like this is such an incredible time and place to be in. When you are in alignment with your inner self, inspiration and events will flow naturally. With the speed of our modern life we are prone to overwhelm. Abraham’s answer in the face of overwhelm is that sometimes doing less can produce more. There are limits to how much activity we can do in a set time, he said. Taking time out to relax and align with a better feeling, replenishing your energy and vitality, helps you to hear the promptings of source which will create more ease and flow. So taking a cruise, where everything is taken care of, gives you the alignment to hear the inspiration of source and feel at peace – for a while at least. It’s the perfect solution for getting in the ‘zone’. 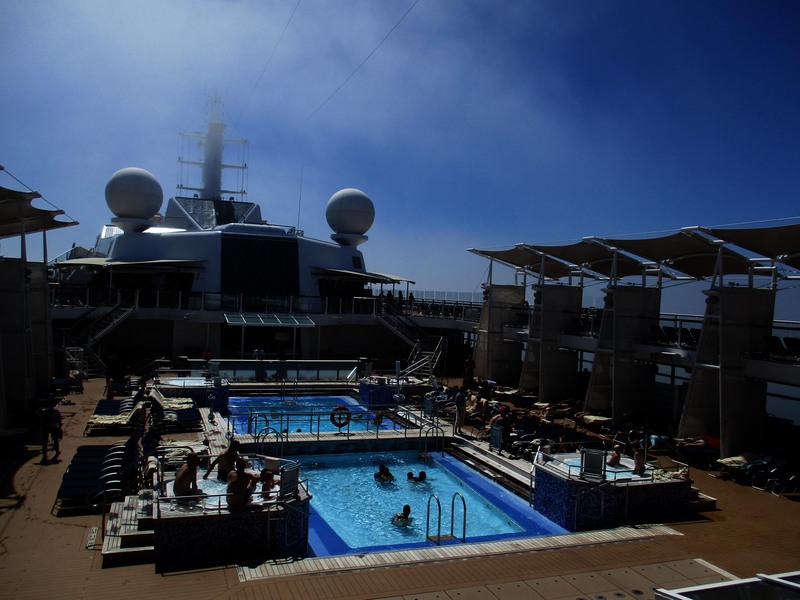 Abraham-Esther Hicks is cruising Down Under in October 2015 with another South Pacific Cruise – the weather is sure to be balmy and the ocean views incredible. This entry was posted in Adventure, Spirituality, Travel and tagged Abraham Law of Attraction, adventure, Alaska, cruises, Esther Hicks, spirituality on August 25, 2015 by smscott2. Adventure is something I think we all crave in some form - whether in body, through an inquiring mind or while we sleep in our dream time. Come with me and explore new places, new thoughts and new dreams.